Traditional Chinese medicine (TCM) treats diseases in a holistic manner, while TCM formulae are multi-component, multi-target agents at the molecular level. Thus there are many parallels between the key ideas of TCM pharmacology and network pharmacology. These years, TCM network pharmacology has developed as an interdisciplinary of TCM science and network pharmacology, which studies the mechanism of TCM at the molecular level and in the context of biological networks. It provides a new research paradigm that can use modern biomedical science to interpret the mechanism of TCM, which is promising to accelerate the modernization and internationalization of TCM. 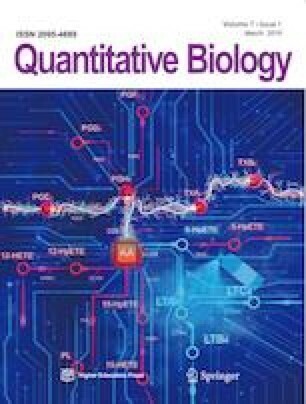 In this paper we introduce state-of-the-art free data sources, web servers and softwares that can be used in the TCM network pharmacology, including databases of TCM, drug targets and diseases, web servers for the prediction of drug targets, and tools for network and functional analysis. This review could help experimental pharmacologists make better use of the existing data and methods in their study of TCM. Author summary: TCM network pharmacology studies the therapeutic mechanism of TCM formulae from a systems perspective and at the molecular level. Years of research in related fields has developed many databases and tools that are useful for the study of TCM network pharmacology. In this paper, we introduce some of such free resources. This work was supported by the National Natural Science Foundation of China (Nos. 81520108030, 21472238, 61372194 and 81260672), Professor of Chang Jiang Scholars Program, Shanghai Engineering Research Center for the Preparation of Bioactive Natural Products (No. 16DZ2280200), the Scientific Foundation of Shanghai China (Nos. 13401900103 and 13401900101), the National Key Research and Development Program of China (No. 2017YFC1700200), the Natural Science Foundation of Chongqing (No. cstc2018jcyjAX0090) and Chongqing Education Reform Project of Graduate (No. yjg152017). The funders had no role in study design, data collection, analysis, decision to publish and preparation of the manuscript.